Going into Sunday’s final round at the Masters, there’s no shortage of storylines as the world’s best golfers look to claim the first major of the year. 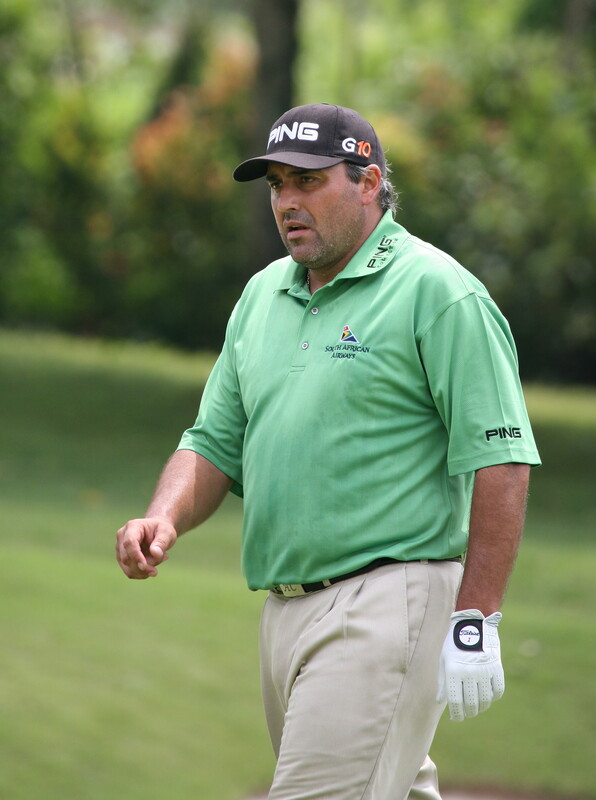 Angel Cabrera, who has basically fallen off the map, is tied for the lead and looking for his second green jacket. Brandt Snedeker, tied with Cabrera, is on that lovely list of “best players to not win a major”. What about Tiger Woods? After his controversial non-DQ, he’s within striking distance at only four shots back of the lead. But, enough of all that for now. Saturday was entertaining for many reasons, and I’ve captured a bunch of them in GIF form below. Apologies in advance for browser killing. After the nonsense on Friday regarding Guan’s slow play, this was probably the best way for him to finish a tough round. First, Rickie Fowler hits his approach into the par-5 8th. Secondly, Brandy Snedeker’s tee shot on 16 was one of only a few shots that were even remotely near the flag on Saturday. The ensuing birdie got him to 7-under par and tied for the lead. Tiger Woods had a lot of really solid swings on Saturday, ending in a 2-under par round. None were better than these two. First, the flop shot on 8 requires a ludicrous amount of touch, and the approach on 15 just takes a lot of balls to even attempt with the water below the green. Still don’t understand the dropping of the club that a lot of pros do after a bad shot, assuming that they don’t hit something on the way down, but this approach on 18 fell well short of the green. This next one was incredible to pretty much everyone. After that flop shot on 8, Woods had a tiny putt for birdie and it lipped out, but I’ve never seen a put actually lip out like that before. CBS’ Nick Faldo, Peter Oosterhuis and Woods himself all said the same thing. Day is known as a very aggressive player with all of his clubs, but nowhere is it more apparent than when he takes out the driver. The lash he takes at this ball on the 7th tee is crazy. There’s still no better swing in the game than Couples, save for maybe Louis Oosthuizen, and the 53-year old former Masters champion showed that again today with some silky moves towards the ball. Of course, the big problem for Couples has always been his back, and it definitely caused him some issues on Saturday. This is him on the 13th green attempting to keep it loose. After tapping in a short birdie putt, Couples would play the next five holes in 5-over par. Cabrera didn’t seem to mind that this tree, or many others for that matter, were in the way when he drove his ball in the forest at 13. This might only seem funny to me, but watching the leaderboard get placed on screen when a ball hits the water is pretty good. Enjoy tomorrow’s final round, everyone. ← Should Tiger Woods have been disqualified? These are great shots from day three. Thanks to AdamSarson.com!